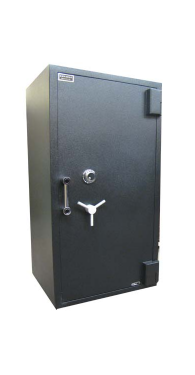 64″ x 34″ x 29.25″, 31.75″ overall | 2 Hour 1850°F | 3,418 lbs. 76″ x 42″ x 29.25″, 31.75″ overall | 2 Hour 1850°F | 4,578 lbs. 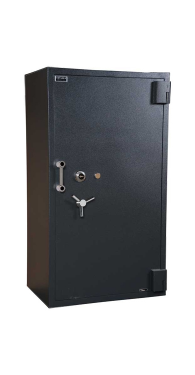 During extreme testing procedures, Amsec TL-30 x 6 High Security Safes demonstrated the ability to withstand severe attacks by experienced U.L. experts using powerful tools such as sledgehammers, power saws, carbide disc cutters, drills, etc., and without fail, were awarded the U.L. TL-30×6 label. 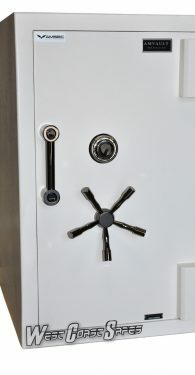 Besides withstanding the most concentrated attacks by sophisticated burglars, each of the Amsec Amvault TL-30×6 safes offer an 1850° F/Two Hour factory fire test certification. 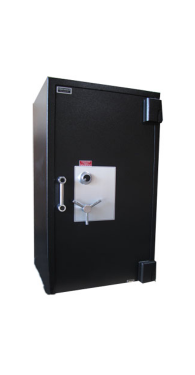 Amsec TL-30×6 high security safes have the following features; Door overall thickness of 6″ and is constructed with a 3″ defense barrier of outer and inner steel plates enclosing a unique interlocking heavy duty steel barrier, 12,000 PSI high strength concrete and a high-density high-strength ceramic matrix, Defense barrier houses a proprietary amalgamation of nuggets and steel fibers to withstand concentrated attacks with the most sophisticated equipment used by burglars today, Amsec TL-30×6 High Security Safes offer a massive solid steel hard plate covering the entire door, body has a total protective thickness of 3″ with a defense barrier of inner and outer steel plates enclosing a unique interlocking heavy duty steel barrier, 12,000 PSI high strength concrete and a high-density high-strength ceramic matrix, Two hour, 350°F factory fire rating. Tested at temperatures up to 1850°F. 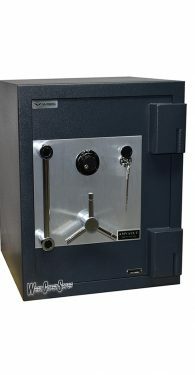 Amvault TL-30×6 safes offer the best protection available.